Curry leaves (Kariveppilai in Tamil) are extensively used by South Indians in their cooking, especially in tempering the food. Even though the fresh leaves are slightly bitter, when fried in oil it gives a unique aroma. People normally discard the leaves while eating. It results in loosing some of the benefits of curry leaves. Eating curry leaves lowers cholesterol and weight, and may be useful for people with diabetes. It is rich in fiber, minerals and vitamins and aids digestion. Fresh curry leaves are best. 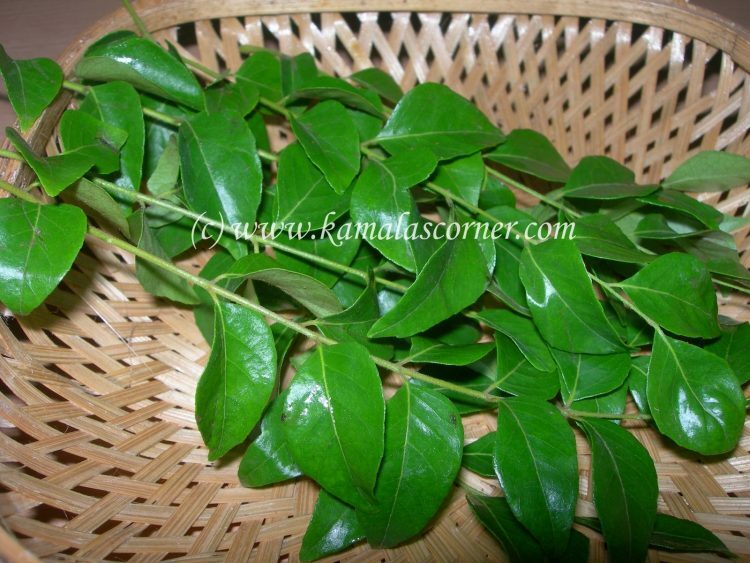 If you do not get fresh leaves regularly, buy the curry leaves whenever available in the market, wash it well and separate the leaves from the stem. Spread it in a paper towel, dry it in the shade and store it in an air tight container.